There were a few important reports on the U.S. economy released this morning. 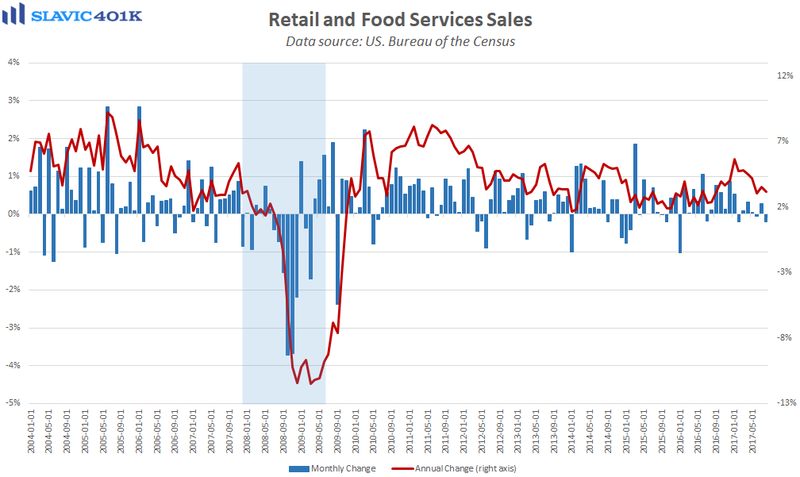 First, data from the U.S. Census Bureau showed that advance estimates of retail and food services sales in August totaled $474.8 billion. That was a 0.2 percent decrease from July, the largest monthly decline since January 2016, and much worse than the 0.1 percent gain analysts had expected. 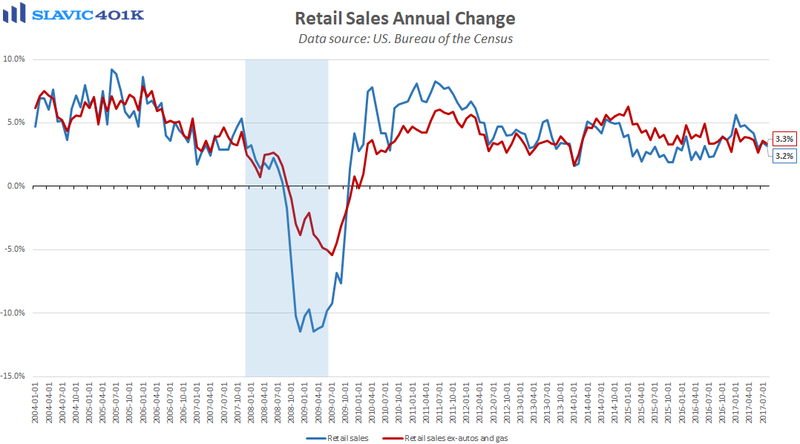 Most of the headline weakness was due to disappointing automobile sales but even core retail sales fell by 0.1 percent last month. 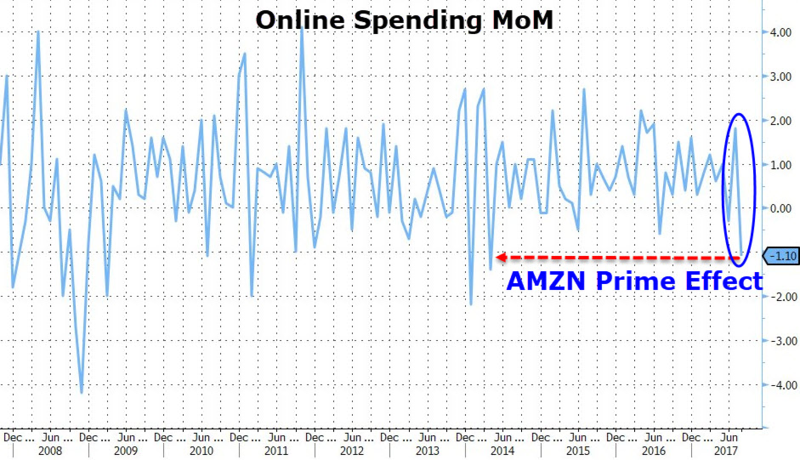 The 1.1 percent plunge in nonstore retail sales (online merchants) exacerbated the August decrease but this was likely related to a natural pullback in spending following Amazon’s big Prime Day sale in July. 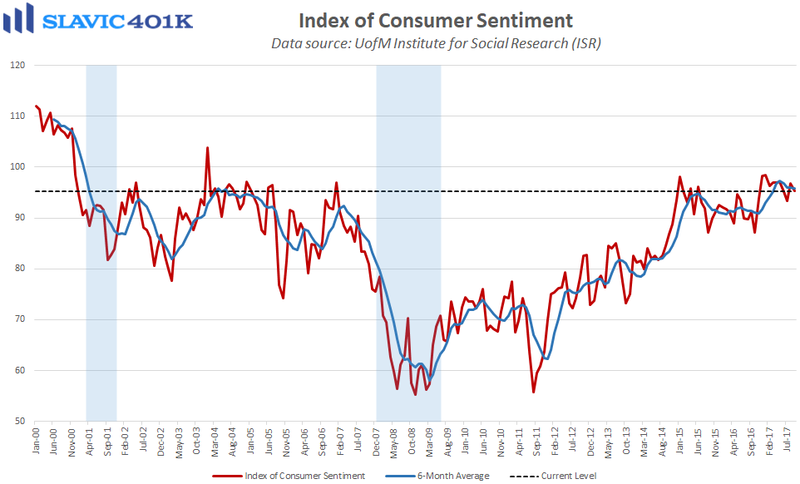 Overall, though, this was still a disappointing report that suggests consumer spending, the largest component of the economy (GDP), will have a hard time this quarter matching Q2’s 3.3 percent pace of growth. 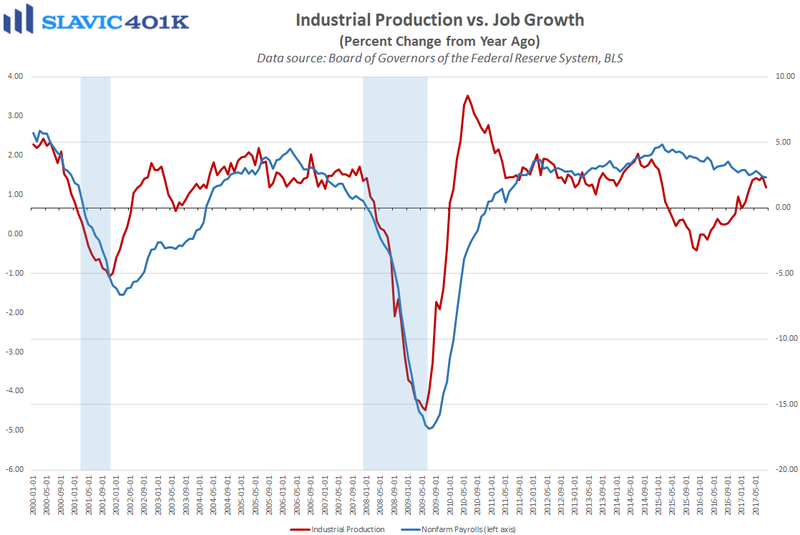 Next, data from the Federal Reserve Board of Governors showed that industrial activity in America slowed last month, as total production fell by 0.9 percent. That was significantly worse than expected and the largest monthly decline since May 2009. A lot of the weakness occurred in the mining and utilities arenas in August but the report’s authors argued that hurricane Harvey might have exacerbated such losses and altogether subtracted 0.75 percentage points from overall industrial production. 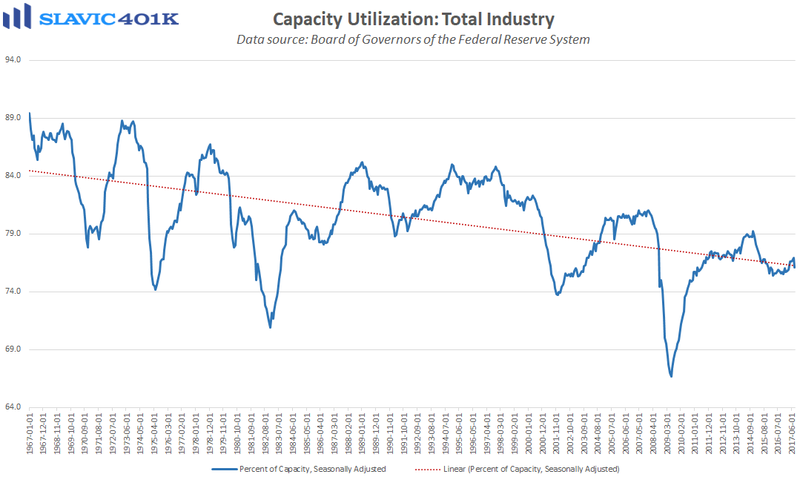 As for manufacturing, which makes up roughly 75 percent of all industrial production, this component fell by 0.3 percent last month and capacity utilization, sometimes used as a leading indicator of inflation and potential output, slid to the lowest reading since March.